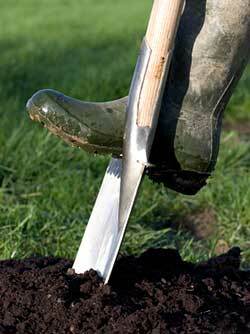 Before you sink your spade into your first garden bed: Relax! “It’s just gardening, not rocket science,” as one of my favorite gurus likes to say. Beginner gardening – so where do you start? If you’re like most of us, you won’t start with a plan. My own big motivation for gardening was the need to turn a plain-Jane backyard into an inviting garden (we were moving into our first house in 1991). I learned by digging in. I had no grand plan, just raw enthusiasm. What made it easier for me was that I’d had plenty of practice in my mother’s vegetable garden while growing up, so while I didn’t know much about flower gardening at the time, I did know the basics of planting and weeding. In the first few years, I moved plants around so much that my husband joked that my perennials should have had wheels, not roots. The fact is that most gardens evolve. It’s difficult to draw up a plan on paper (as instructed by garden designers) when you can’t tell a daisy from a dianthus. Once you’ve learned a few horticultural ropes and have discovered what appeals to you, you’ll have a better idea about how you would like your garden to look. So to get started in the garden, you’re going to need a few garden tools. (Isn’t the fun part of a new hobby shopping for gear?) The best-quality tools are often carried by specialist suppliers. Information about tools is here. Most plants thrive in moist, but well drained soil. Sounds contradictory, right? But it simply means soil that retains moisture and doesn’t stay too wet. Ideal garden soil has the texture of crumbly chocolate cake and is easy to dig. The way to improve almost any kind of soil – from sticky clay to porous sandy soil – is actually the same. You add hummus (composted manure, compost or leaf mould, or a combination of them). For more information, see Garden Soil 101 – dealing with sand and clay. If you have sandy soil, the hummus acts like a sponge to hold moisture. And if you have clay, it breaks up sticky particles to create larger pore spaces that drain more easily and help plant roots get the air they need. More information about fixing your soil is here. The great thing about annuals is that they’re widely available and easy to grow. If you follow the simple basics about light, spacing, water and fertilizer, you’ll have your first success. 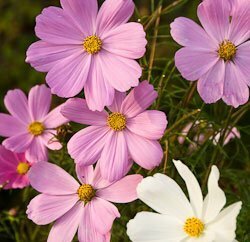 Find out how with these beginner gardener tips for growing annuals, and then learn more about other flower garden plants, including easy-care perennials. Unless you live in a neighborhood dominated by huge shade trees, you will have areas of full sun, and perhaps some spots shaded by buildings (house, garage, shed) or trees. Remember that most perennial flowers and roses do best in full sun. That means at least six hours of full sun. With only two to three hours of sunlight, sun-lovers will struggle, but plants that like part shade will do well. Usually, shade and part-shade plants will do best where they don’t get hot afternoon sun. 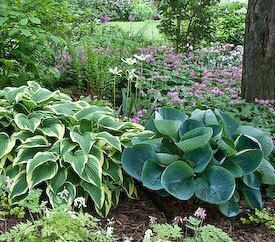 Here are some plants to grow in lower light situations: astilbe, hosta, cranesbill – as known as hardy perennial geraniums, bleeding heart, foxgloves, columbine and heuchera. More tips for shade gardening are here. Good garden centres group plants according to their sun and shade requirements. Trees and shrubs also have light preferences, so read the plant tags and do some research before deciding what to plant. 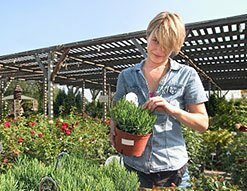 Here are tips for buying plants.